Mikko Premix is produced from Japanese technology and quality standard. “Stable quality, easy processing, time saving” constitute to our motto which brings our customers to modern life. Starting its operation in November 2004, International Mix Joint Venture company, shortly referred to as Intermix, is a symbol of the determination and commitment of the three leading companies in the related field: Dai Phong Flour Milling company, Vietnam; Sumitomo Corporation, Japan; and Chiba Flour Milling Company, Japan, in providing Mikko Premix to customers in the bakery and seafood processing sections. 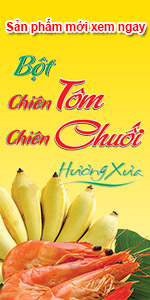 Tổ 1, ấp Thạnh Hưng, xã Hòa Phú, huyện Long Hồ, tỉnh Vĩnh Long.